Holy abracadabra! You’ve got The Magician in your Tarot spread, which is one of the most recognizable cards, and always a favourite. The number of the Magician is one, which is the number of beginnings. This card is a great omen and you’ve got a lot to look forward to! The Magician is the bridge between the spirit and physical worlds. He is featured raising a staff to the sky in his right hand while he points to the Earth with his left. Above The Magician’s head is the symbol of eternity. Around his waist there is a snake biting its own tail, which is another symbol of eternity. On his magic table you’ll find all four suits of the Tarot, each of which represent the elements: earth, air, fire and water. Their presence represents the use of mind, heart, body and soul in the process of the manifestation of your dreams. These symbolise the appropriate use of mind, heart, body and soul in the process of manifestation. The Magician wears a white robe which symbolises his purity and innocence, but his contradicting red cloak represents knowledge and experience. We see these traits reflected in the flowers at his feet as well. The Magician Tarot card appears in a Tarot reading at a time in your life when you feel that you have the creative power and the energy (finally!) to create a new life for yourself. You realise that you have the ability to harness the power of the Universe to manifest your desires. It suggests that a situation has been presented, a situation that will help you make your dreams come true. Your desires may range from spiritual to physical, or emotional and mental; what you desire isn’t necessarily important, you just need to know that it’s going to happen soon if it isn’t already happening! When The Magician card appears in your Tarot spread it comes with a lot of meanings. Remember, these meanings are subjective and you’re going to have to apply to them to specific situations in your life to understand why certain cards appear. This is a Tarot card about manifesting your dreams by utilising the tools, resources and talent that are available to you. The Magician’s appearance suggests that you’ll come up with creative ways to solve problems and be able to use your existing knowledge, networks and experience to arrive at interesting solutions. You can benefit from your creative forces if you assert your power and act with mindfulness. You need to understand what it is you’re doing and why you’re doing it. Be clear about your underlying motives and intentions. This is a card of deep concentration on a particular goal, a specific task or activity. The card wants you to focus on a single goal so that you can channel all of your energy into this one thing. You need to commit to the task. So start eliminating your distractions! Turn off that phone! Hide that computer: this is your time to make things happen! In the past position of your Tarot Card spread, the Magician waxes nostalgic. This means that you are longing for a time in the past when the Magician’s powers were on your side. Perhaps you were more of a go-getter? Maybe you were just focused on finishing something? Don’t worry, if you have a track record of tapping into your power, it means you can do it again! The Magician could also be indicating that you’re still reaping the rewards of some past experience. In your present situation, the card indicates that it might be time to take reflect on where you are in life and see where you improve things. The present position is a push or you to focus right now! It basically means the conditions are right and the rest is up to you. If you’ve been waiting for the signal to go, this is it. The future position is the best one for The Magician. You have earned what you are about to receive, and if you continue on your current path all of your desires will be fulfilled. You have your own power to thank for that! The reversed Magician in your Tarot spread means you’re acting without much thought. The reversed Magician implies that you know exactly what you want, how to go about it and that success is guaranteed but the time is not right. He suggests that you are not in a position to focus your attention on the project at this time. You could be feeling impatient and frustrated. Don’t lose hope because The Magician is a bit of a trickster! Often the best way to interpret what the big cards like The Magician and The Fool are trying to tell you is to look at them in regards to the rest of the cards in your spread. The best cards to accompany the Magician are the Fool, Temperance and the Three of Wands. The Fool shows that luck will soon come your way. Temperance signifies that you will be generous in helping friends, and the Three of Wands acts as a magnifier of the Magician’s omens. It’s hard to tell you exactly what this all means in a general sense, so it might be time to make an appointment with a Tarot expert. 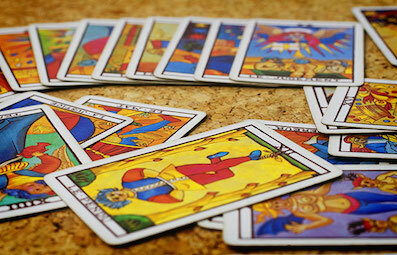 If The Magician is coming up for you during Tarot Card readings the universe might have an important message for you. If you want to find out more about what this card means in direct relation to what’s going on in your life personally, you should get in contact with me for a one on one reading. I’m excited to see what this special card represents in your life, aren’t you?! One thing I guarantee is that some new and exciting times are coming your way, so take a deep breath and get ready for some big life changes.